Looking for a quality Remedial, Swedish, Shiatsu, Reiki or Massage? 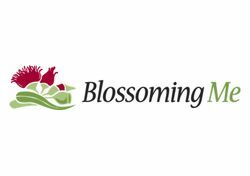 Then Blossoming Me can help, call us now and start feeling better today. Whilst remedial massage can relieve pain, it can leave you feeling sore and exhausted. The techniques we use - a combination of Acupressure, Shiatsu, Reiki and Remedial Massage - allow you to release the pain from your body easily, with your breath, leaving you feeling refreshed, revived and relaxed. Remedial Massage involves manual manipulation of soft tissues, (muscles), in order to improve the function of the nervous, circulatory and lymphatic systems. It stimulates the flow of body fluids, breaks up adhesion and diminishes tension. Remedial Massage includes techniques such as: stretching & rotating joints, and specific movements for releasing muscles. Whilst remedial massage can sometimes leave you feeling sore and exhausted, the techniques Sarah uses, a combination of Acupressure, Shiatsu, Reiki and Remedial Massage, allows you to release the pain from your body easily, with your breath, leaving you feeling refreshed, revived and relaxed. As with Remedial Massage above, Swedish Massage works with the soft tissues of the body. It is generally gentler than remedial, being focused on relaxation & stressing reduction. Both forms of massage provides benefits in both physiological and psychological health. In Shiatsu pressure is applied using fingers, thumbs, and/or palms in a continuous rhythmic sequence. Massage techniques like tapping, squeezing, rubbing, and hand pressure are applied along the energetic pathways, called meridians, to clear energy blockages and reintroduce the optimal flow of ki. 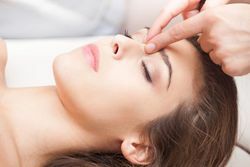 Together with acupressure, Reiki energy into the acupressure points enables a more profound healing, with the combination of energetic healing and the tremendous wealth of ancient healing knowledge of Traditional Chinese Medicine (TCM). Bonding with your Baby (Infant Massage), is done in classes, either individual or in small groups. The individual classes are usually done in 3 sessions, each for around 1hr, and the small groups include 4 sessions of around 1hr. This way baby is able to take in what we are doing and you as parents can absorb the information and ensure your questions are answered along the way, too. We cover the whole body and look at various issues together, from crying and how to cope with it, to routines, to colic. For more information about the best massage technique for your needs or to organise an appointment, just give us a call! Coaching & Counselling Services Providing a range of professional Accupressure and Counselling services, to the people in upper North Shore. Osteopathy Services No matter what Osteopathy or Cranial Osteopathy treatments you're after - we've got just what you need!